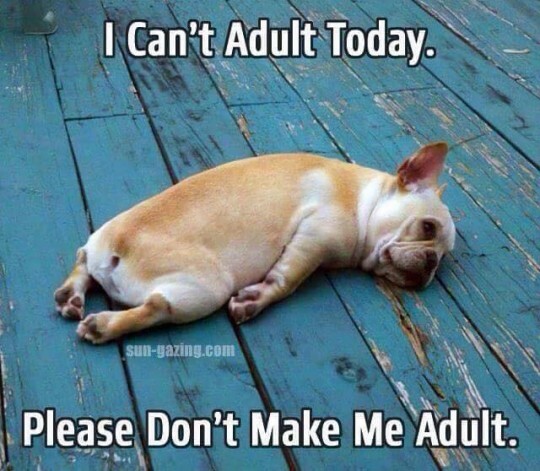 Please Don’t Make Me Adult Today! Have you had a bad nights’ sleep, woke up in the morning looked in the mirror and thought, “I’m not sure I’ll make it today”. 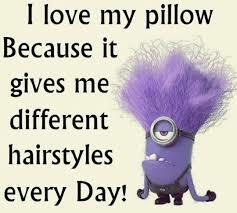 Is your hair standing on end? Are there bags under your eyes…? Thank goodness for bag cream, not to mention the dreaded puffed eyelids? Some mornings, looking in the mirror can almost stop your heart. This happens to me quite often. Have you fallen off your diet in a major way? Enjoyed an incredible weekend full of carbohydrates, sugar and fat overload, and now feeling guilty, bloated and 10 pounds heavier than when you started. You know, the weekend where you ate everything you could get your hands on just because you couldn’t stand another carrot stick? I have and gave myself a good scolding too. I usually feel so guilty and miserable I promise myself never to do it again. Well, maybe that’s a little hasty, I hear a little Chocolate is good for you! Perhaps you’ve had a dispute with your husband, friends or even the kids, and you are on your last nerve. Possibly you’re saying, “I need to run away for a while or take a cruise “, or if you’re like me, you just stay in bed and cover your head. I’ve even considered a week at a rest home, wouldn’t that be heavenly. There I could sit on the porch in a rocking chair and sing “Blessed Quietness “and mean it. I am thankful that as each new day comes, I can choose to find something to be thankful for. I am learning how to find joy in the moments. This is a lifelong journey, and a fast learner I am not. Not because life is perfect, but because I have a friend who loves me through the circumstances of life. He is my shelter who blocks the sting and protects me in his perfect will. Nothing touches me that does not go through the cross first. Although I will always have my share of bad hair days, bags under my eyes, blow my diet and lose my temper. I am safe and secure in the knowledge that God’s love and forgiveness is constant, unconditional and forever. He is my Friend, He is enough. What gives you hope when you have a bad day? I would love to hear What You do.